There's an overwhelming amount of plastic bags in landfills and waterways. They're super wasteful and put animals and marine life in danger. The good news is they're really easy to avoid! Simply carry a reusable bag. Check out foldable bag that is lightweight and can easily fit into your purse or pocket. While placing your beverage orders, remember to inform the server "I don't want a plastic straw in my drink, thanks". But if you feel like Mojito is better with a straw, you can choose to carry your own reusable straw (check out the bamboo straws from Bamboo India or stainless steel straws from Bare Necessities). A million disposable plastic water bottles are bought globally, every minute. This poses a huge challenge for the environment and human health. Bottled water has been found to contain tiny pieces of plastics, called microplastics, that likely enter the water during the packaging process. It's easy to switch to a reusable stainless steel bottle, these are available online or at local shops. Over 3.5 billion plastic toothbrushes are sold worldwide each year, and are hard to recycle. So most of these end up in the landfills. 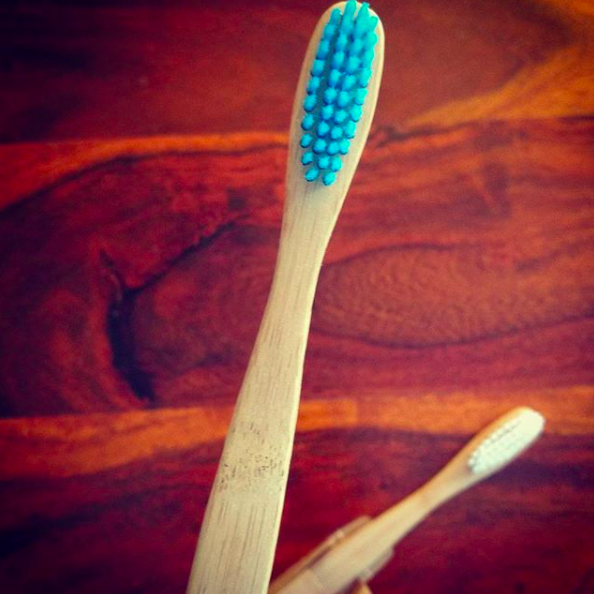 Consider switching to more eco-friendly options like this bamboo toothbrush from Bamboo India. You'll find it very useful for drying your hands in public restrooms or unexpected tears. And you'll avoid hundreds of disposable tissue papers! The typical kitchen sponge is made from polyurethane, a petroleum-based material that can’t be recycled or composted. It only lasts a few weeks and are non-recyclable. These are also magnets for bacteria since they grow in warm, damp environments. 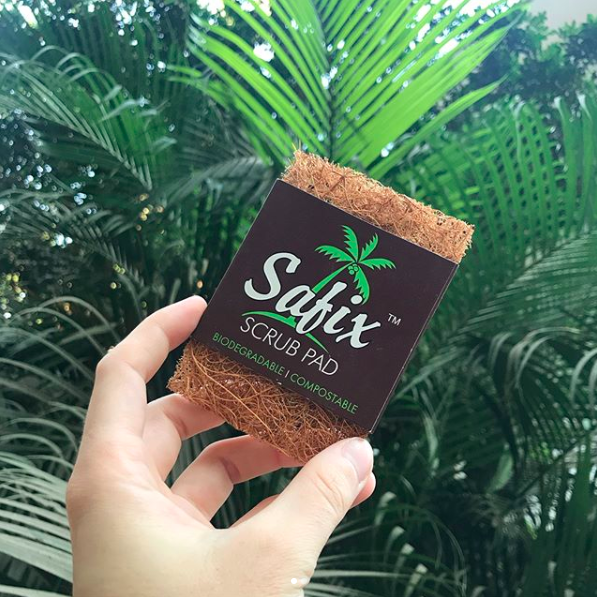 Check out this natural scrub pad made from coconut fibre (costs ~ Rs 25 a piece). It is more sanitary since it's airy and dries quickly. Hotels provide travel-size toiletries packed in plastic tubes and sachets that are non-recyclable. Simplest way to avoid these is to carry your own toiletries like toothbrush and soap. Choose ones which will be easy to pack and will pass airport restrictions. Plastic litter from takeaway orders including cups, plates, cutlery, and straws is a huge source of the plastic pollution. Disposable plastic containers stained with food are difficult to recycle and most often end up in landfills. They can take up to 1,000 years to decompose, leaching harmful chemicals into the earth as they are breaking down into smaller pieces. Moreover, consuming hot food from disposable plastic containers can be toxic for human health, as the plastic can leach toxic chemicals into hot food. Choose to opt for compostable or reusable food serving wares instead. These are more gentle on the environment and our health. Do you know that India wastes as much food as United Kingdom consumes? To reduce food waste, the first step is to order optimally. Also, make sure your food is stored to make it last longer. And remember, one bad spot doesn't make a rotten fruit. Over 7 billion tampons and pads land in landfills each year. Most of them contain chemicals, toxins, additives and synthetic materials such as plastic that have devastating effects on the environment as well as women’s health. Instead consider eco-friendly alternatives such as a menstrual cup (Shecup, SilkyCup, Mooncup, Vcup) or cloth pads (EcoFemme, Shomota). These are easy to use, long-lasting, reusable, less expensive than disposables. For more information, check out this video from renowned gynaecologist Dr. Meenakshi Bharath.